This excursion takes us to the north-east coast of Menorca, where we will discover two picturesque seaside resorts where we can relax and soak up the island's typical atmosphere and enjoy a dip in the sea. We will leave the port by coach and embark on a sightseeing tour of the northern shores of the island of Menorca. 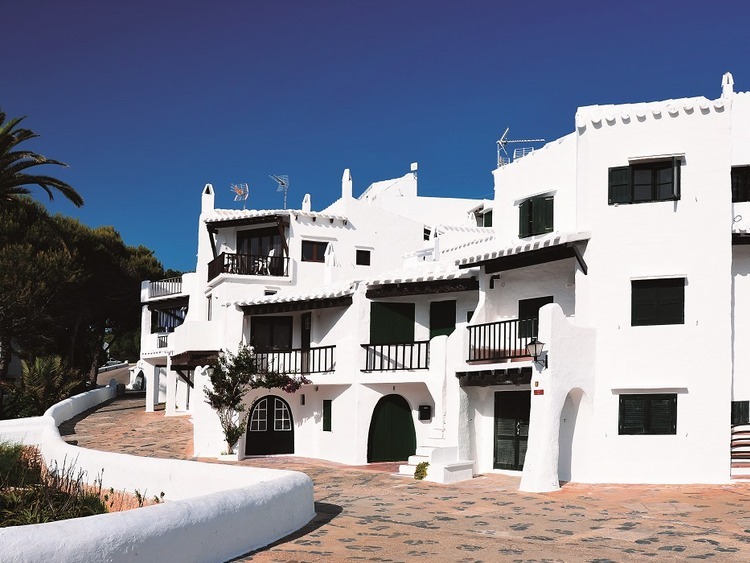 Our first destination is Fornells, a picturesque seaside village with bright white houses at the entrance to a large, enclosed natural bay with sheltered waters. We will have free time to spend strolling along the promenade, which is elegantly lined with palm trees and famous for its fish restaurants overlooking the water and its relaxing vibe. We will get back on the coach and travel to Arenal d'en Castell, one of the most beautiful beaches in Menorca. It is particularly well-suited to families because of its golden sand and shore that slopes gradually into the crystal-clear water. We can spend the morning here relaxing on the beach, swimming in the bright blue Mediterranean or discovering the shops, bars and restaurants in the town centre.